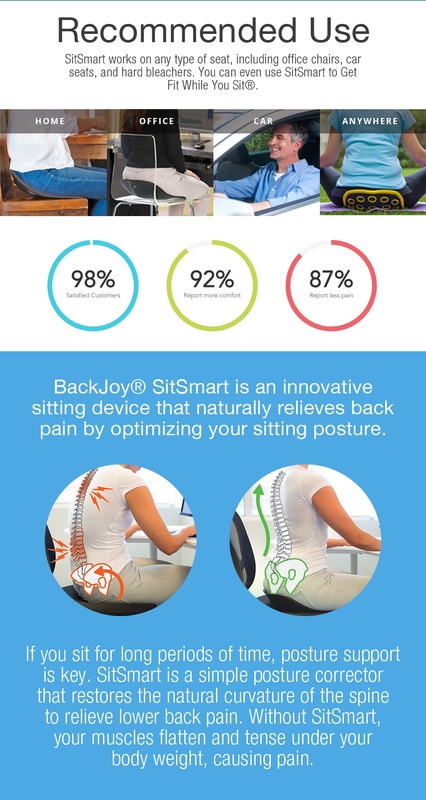 BackJoy SitSmart Relief will allow you to sit comfortably all day long. It is an innovative, proven sitting device that provides natural, safe, and effective back pain relief by automatically optimizing your posture – anytime and anywhere you sit. 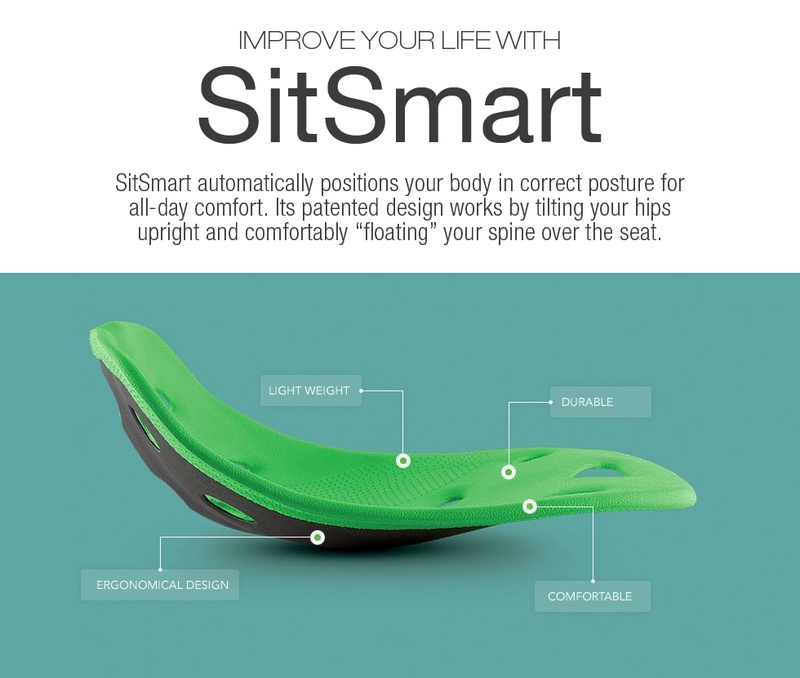 SitSmart’s easy-to-use, patented design works from the bottom up by tilting your hips upright and “floating” your spine in a comfortable cradle above the sitting surface. 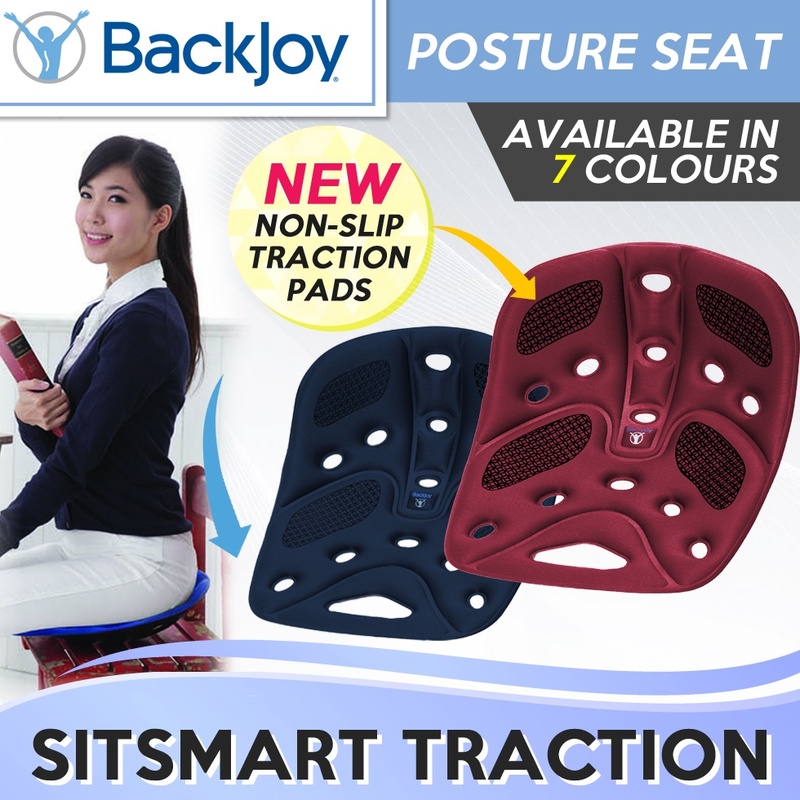 BackJoy SitSmart Relief has a portable and lightweight design that works in any seat so you can feel more comfortable, supported, and less fatigued after sitting for long periods of time. The durable base and soft covering provide long-term use.